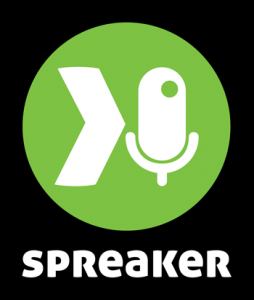 Spreaker.com – Live Audio broadcasting for Everyone! Spreaker is an online application for creating and sharing live audio content on the Internet. With Spreaker, users become Radio DJs and host personal radio shows that can be streamed live and listened through a widget which supports all the major social media and mobile platforms. It’s very easy to create any kind of radio show – from music to talk – since everything can be made on-line thanks to a unique DJ console which allows the real-time mixing of voice, music and sound effects. On the other hand, listeners are able to discover interesting niche content which would not be found on traditional FM radios. Spreaker covers music royalties. You can broadcast your music library, make real-time mixes and create new stuff! There is nothing to install! Our mixing console is an online (Adobe-Flash based) tool and it works from any computer connected to the Internet.